The datacentre market in both central and eastern Europe and Poland has recorded double–digit growth, but this does not reflect the economic situation in that region. The main reason for the growth is the increasing amount of data sent and collected via the internet, and unrelenting demand for online IT services. PMR, a market research and consulting company active in more than 25 countries in central and eastern Europe, estimates that the combined value of the region's datacentre market was €627m in 2014, a rise of 13% on the figure for 2013. Although this was actually the lowest annual rise in the past five years, the market has maintained a double–digit growth rate for several years. A negative impact on market dynamics over the past year has been the unstable situation in Ukraine. The first signs of stagnation have been seen in the colocation services segment, but the region's datacentre market continues to be driven by managed services, cloud, disaster recovery and server hosting. Deutsche Telekom (DT) group, operating under the T–Mobile brand via its subsidiaries, has the largest share of the datacentre market in central and eastern Europe. “According to our estimates, DT exceeded one-fifth of [the region's] datacentre floor space at the end of 2014,” says Paweł Olszynka, head of ICT market analyses at PMR. “Its position has been strongly enhanced after its latest acquisition, GTS Central Europe. In second place behind the German operator is Orange, although its share of the market is significantly lower. Third position is occupied by ATM, which in Poland is actually the biggest specialised colocation provider, with the main part of its business involving datacentres. Another active foreign investor is IBM, which has had a presence in the regional datacentre market for several years, and TelecityGroup should also be mentioned. This British company has been actively seeking acquisition targets in the region and has already acquired three datacentres – in Warsaw (Poland), Sofia (Bulgaria) and Istanbul (Turkey). Data flow in PLIX, the Warsaw datacentre owned by TelecityGroup, reaches up to 300 Gbits per second, which puts the facility among the top 10 European hubs. 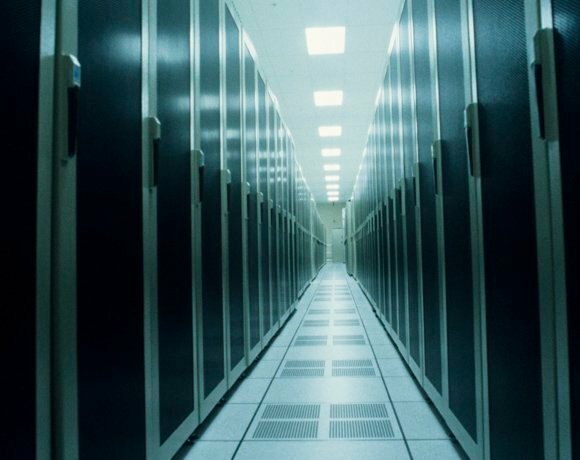 Forecasts for Poland's datacentre market remain positive, similar to the rest of the region. Last year, the Polish market became more mature and competitive, with an increasing number of investment projects co–financed by EU funds, which are providing an important incentive. However, no Tier IV datacentre has yet been built in Poland. Partial refinancing of investments means colocation providers can accept lower margins because of the lower level of capital expenditure they need to make, compared with facilities built on a purely commercial basis. Also, they can pursue other revenue streams that yield higher profits, such as server hosting, cloud, managed services and disaster recovery. According to PMR analysis, almost 60% of Poland's datacentre space is located in Warsaw and its environs. But this picture will change, because expansion of the country's fibre telecommunications infrastructure in recent years is facilitating geographical diversification of the market. In turn, market fragmentation will create conditions conducive to mergers and acquisitions. “Poland's datacentre services market is characterised by a high level of dispersion,” said Grzegorz Bernatek, principal analyst at Audytel. “Its leaders' market shares reach several percent and none of them has managed to gain a permanent competitive advantage. “We expect that, as the market grows, consolidation will follow. At the end of 2014, the market's value exceeded 1.3bn złoty (€300m). Polish datacentres offer services mainly to domestic customers, with foreign clients a secondary consideration. Why? Only 30% of Polish companies use IT outsourcing services. In western countries, this percentage is much higher – in the UK, it is close to 70%. Every year, leading players in the Polish datacentre market set out to acquire foreign customers, both from western and eastern Europe. “Attracting foreign customers is one of our priorities," says Tadeusz Czichon, CEO at ATM. “We count especially on automatic sales via our website." Comarch opened a new facility in Dresden, Germany in April 2013 and is preparing to build a similar one in Lille, France. London Heathrow Airport, the UK's only hub airport, is home to more than 80 airlines, serving 184 destinations in 84 countries. It is Europe's busiest airport and the third-busiest in the world by passenger traffic – on average, Heathrow handles more than 191,000 passengers each day. World Duty Free, its second-biggest partner after British Airways, offers more than 120 global brands. For Heathrow Airport's loyalty management system, Comarch operates a hardware platform using a SaaS model. The system uses a cloud model for sharing hardware resources and third-party licences. PaaS services include: platform administration (including Linux and databases – Oracle and PostgreSQL), monitoring and helpdesk, spare datacentre site (disaster recovery centre) with asynchronous data replication, managing hardware lifecycle (including migration and upgrades), online backup services and high-availability cluster services. The Comarch datacentres that serve Heathrow comprise three sets of two data-processing centres located in two different cities for geo–redundancy purposes. This enabled Comarch to meet the airport’s requirements for high availability, reliability, scalability and security. Chatfield adds: “The new airport loyalty programme has become an integral part of Heathrow’s e-business planning for years. Co-operation with Comarch helps to gain insight into the database, with knowledge about client preferences and retail data in one place. ATM, datacentre market leader in Poland, has expanded co-operation with its Ukrainian partners and clients. Its growing involvement in that country stems from the interest expressed by local companies in services offered by professional datacentres. This is reflected in ATM's rising number of orders from eastern Europe, mainly from Ukraine. For two years, ATM has been co-operating with Host Park Group, a Ukrainian IT company that has been offering colocation and hosting services since 2009. Host Park offers its clients dedicated ATMAN EcoSerwer servers and colocation at datacentres operated by ATM. Another client of ATM is the SteepHost datacentre in Kharkov, which decided to locate its dedicated servers in one of ATM’s server rooms and to offer this service directly to its clients. “Attractive terms for using ATM’s datacentres are the principal reason why companies from eastern Europe increasingly consider setting up their backup datacentres in Poland for the purposes of disaster recovery procedures,” Krupa adds. ATM's clients in eastern Europe can use its three datacentres in Poland, which total 10,600 square meters, and the nationwide fibre-optic ATMAN network. Four European exchange points – in Amsterdam, Frankfurt, London and Moscow – have been augmented by a new one in Kiev.